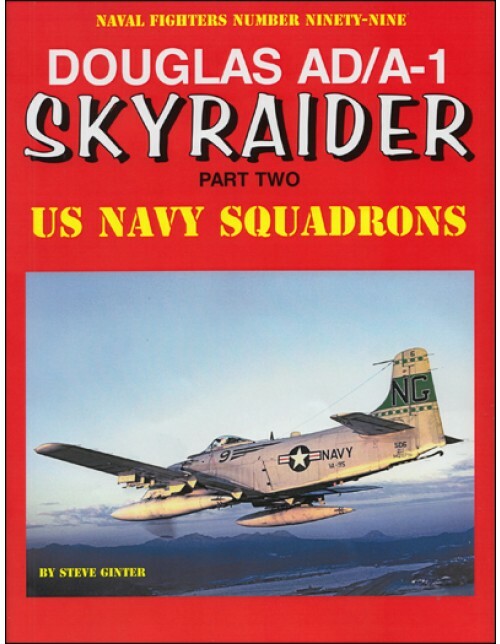 The Douglas AD/A-1 Skyraider: Part Two covers Skyraider Fleet and Utility squadrons with text on each squadron along with photos and squadron patches/insignia when available. 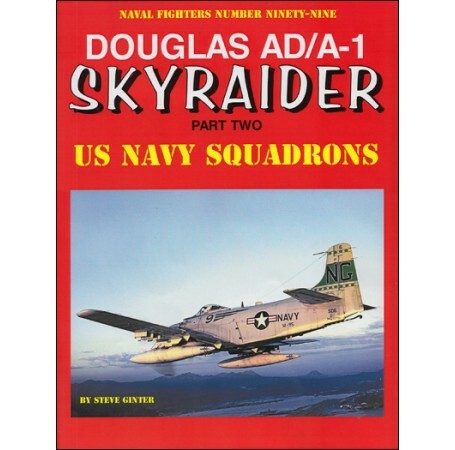 Because the Skyraider's service life bridges from post WWII, through the Korean War and into the Vietnam War, the AD/A-1 squadrons went through all the confusing redesignations and disestablishments of the 1950s. In some cases the same squadron designation was applied three times during the life of the Skyraiders in the Navy. This volume covers 95 squadrons that flew this amazing aircraft. "... astonishing detail. Srongly recommended!"